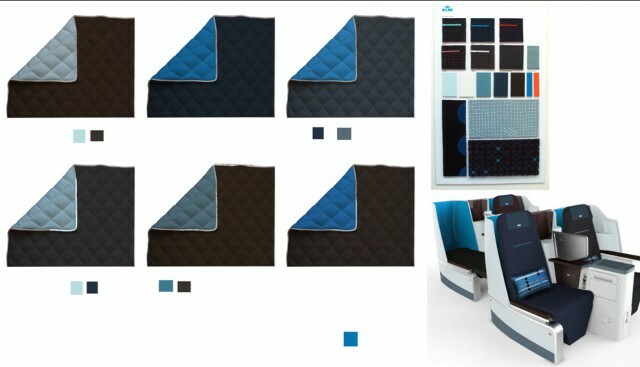 The new seat enables passengers to sleep fully flat, and a real bed like this calls for comfortable accessories, such as a blanket and pillow. 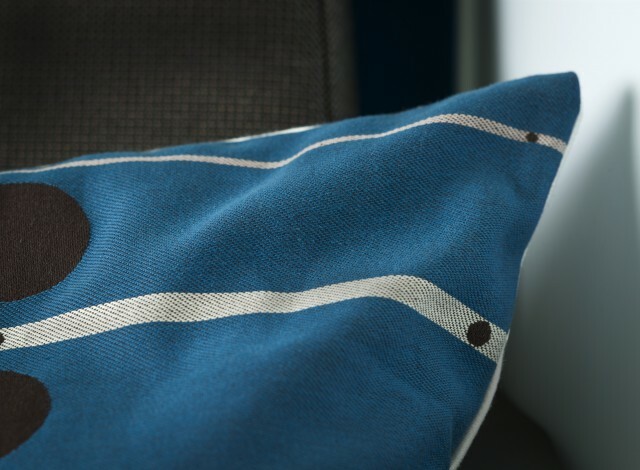 Like the other elements of the new design, the pillowcase involves double-faced weaving. 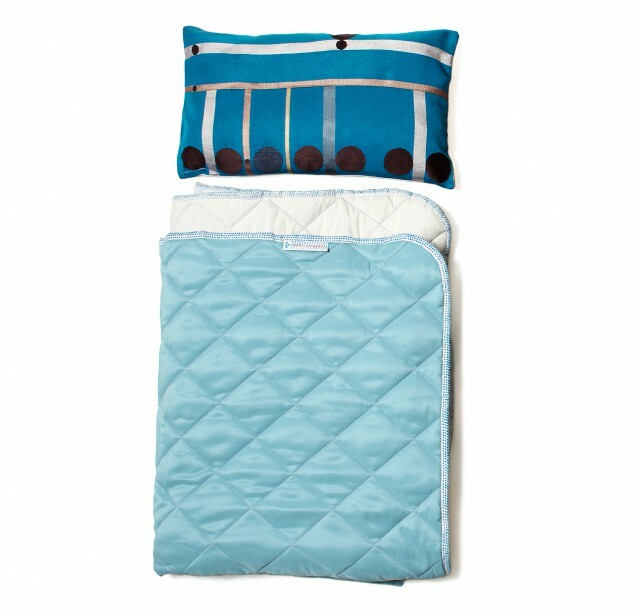 The design on its inner side is based on the fabric of the class divider, and the sleeping side is white and crisp. The dotted design recurs in all the elements of the interior, creating a soft, diffuse look. 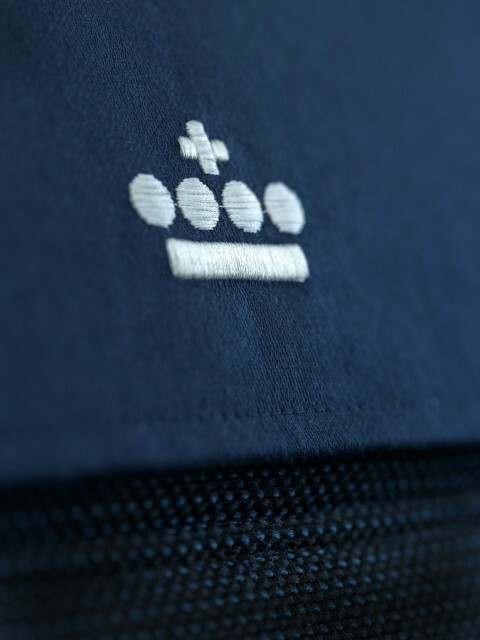 At the same time, the dots display Jongerius’s signature style. 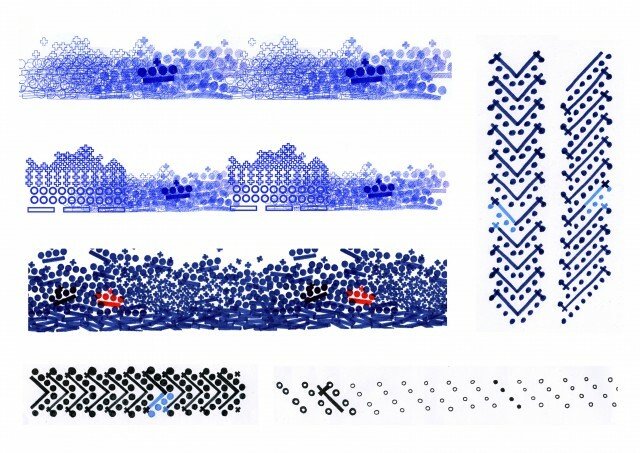 The bulk board, a synthetic wall, is decorated with a dotted pattern. 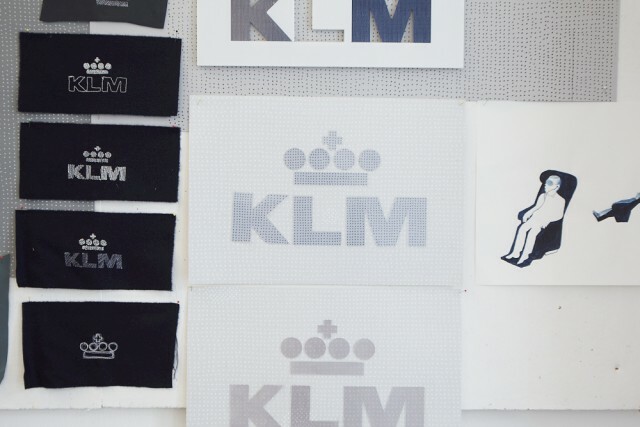 The design includes an irregular hand-dotted grid, which restores a human dimension to synthetic aircraft parts. 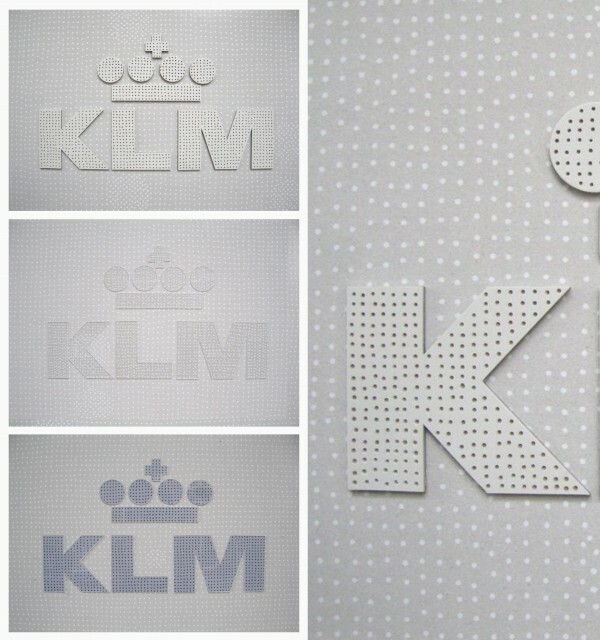 The bulk board bears a dotted version of the KLM logo, subtly integrating the brand into the wall.